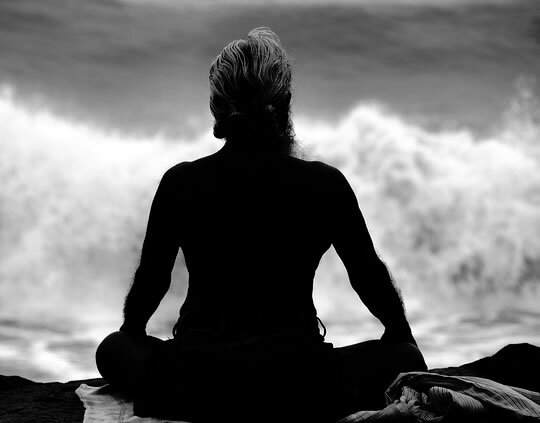 First study to show rapid beneficial changes from meditation at the molecular level. The health benefits of meditation are becoming well-established, but we still know little about how these effects are achieved. A new study, though, sheds light onto the molecular changes that take place in the body as a result of meditation. For their new study, Kaliman et al. (2014) recruited 19 experienced meditators, who each carried out an intensive 8-hour session of mindfulness meditation. They were compared with a group of 21 others who engaged in quiet non-meditative activities for the same period of time. Both groups gave blood samples before and after their activities. After analysing these samples at the molecular level, they found some remarkable changes. Amongst the group of experienced meditators, changes could be seen in the way certain important genes were expressed. The expression of genes which are involved in inflammation, and generally in the body’s stress-response, were down-regulated. These changes were not seen in the control group. The body’s stress-response is important for all sorts of health conditions such as cancer, metabolic diseases and neuropsychological problems. Both groups were also given a test of social stress afterwards. This involved having to give a surprise speech in front of an audience and video camera. Tests of cortisol levels in participants’ saliva revealed that the expert meditators were able to recover quicker from this stressful event than the other group. This study may demonstrate physiological mechanisms which helps explain why mindfulness meditation is so beneficial.